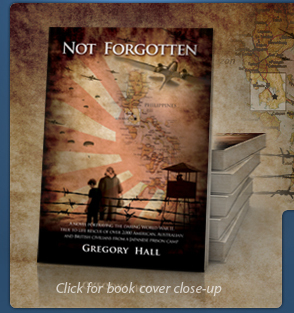 Is a Novel portraying the daring World War II, true to life rescue of over 2,000 American, Australian and British civilians from a Japanese prison camp. Pointing to a map on the wall of the location of the prison camp, Captain Ford said, "The drop zone is right here," putting his finger next to the camp. He added, "It's important we get as close to the camp as possible, but not on the camp." ... "Drop altitude between 400 and 500 feet, no higher. I don't want my men in the air too long; they can be shot and killed before hitting the ground if they are dropped at a higher altitude," said Ford ... "Oh... and ask your flight crews not to mention the low drop altitude to my men. They will have enough to think about without knowing that, too," said Captain Ford. "Saving Private Ryan" and "Mission Impossible" combined. The daring World War II, true to life rescue of American, Australian and British civilians from a Japanese prison camp by U.S. Army paratroopers and Filipino guerillas. Follow the day to day lives of individuals from a variety of backgrounds to include that of banking, military wife, aircraft machinist, mining engineer, mechanic, cook, nurse and others. Witness the dramatic changes in their lives after the Japanese attack Pearl Harbor on December 7, 1941. 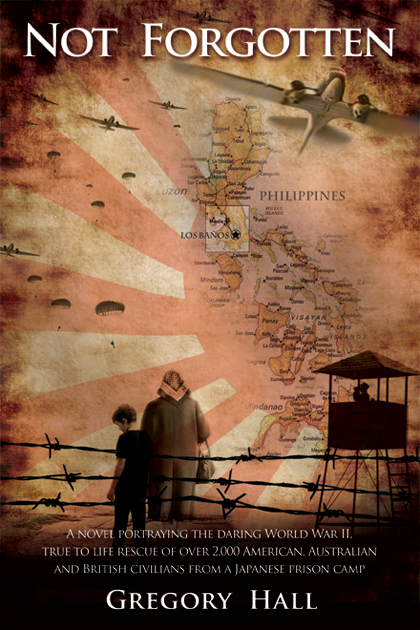 Learn how the victorious Japanese military rounded up Americans, Australians as well as the English and other Europeans living in the Philippines. Experience the hardships of being in a prison under Japanese authority. Observe how hope and the support of another person were absolutely necessary to survive the prison life. With each passing day in captivity, the "little things in life" would take on new meaning and importance. Life would become "void" of most material possessions. A person's entire worldly possessions could fit into a small box. Essentially, the small box would represent the prisoner's entire fortune or misfortune, entire life or death. Half a world away in the United States, men and women were rallying after the Japanese attack. Share in the enthusiasm and patriotism of young men volunteering to become U.S. Army Paratroopers, one of the earliest contemporary U.S. "special forces" units. Discover the rigors of the challenging paratroop training and the camaraderie that developed among those young men. Travel with the airborne unit of paratroopers to the South Pacific where they valiantly battled entrenched Japanese forces. Just two weeks after parachuting behind Japanese lines the paratroopers are readied for another parachute jump. A parachute mission vastly different from their training and combat experience of engaging and destroying the enemy. Their mission was one of humanistic nature in a war often fraught with the barbaric nature of man. They were to parachute thirty miles behind enemy lines, landing next to a Japanese prison camp to rescue over 2,000 American, Australian and British civilians from imminent death. To add to the daunting challenge, the liberation by American ground forces of two Japanese prison camps during the previous three weeks meant that the element of surprise no longer existed. Day by day the conditions in the prison camp worsened as the tide of war turned against the Japanese. Observe how the plan for the liberation was developed and how the paratroopers "thought outside the box" for the safe return of the civilians thirty miles to friendly lines. Once all of the details for the rescue were worked out, realize that success still hinged on a "roll of the dice." The only question remaining was, "would fate allow the rescuers to beat the odds?"